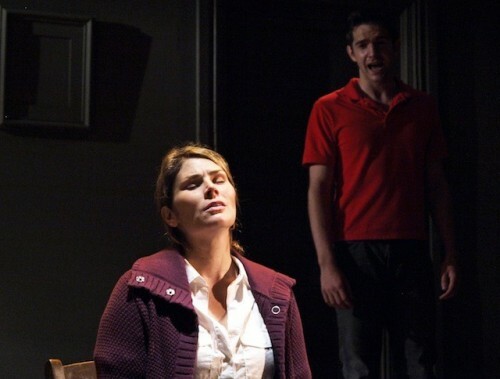 Next to Normal, the rock musical that is playing at the Weston is an electrifying production of a powerful, moving, complex piece of musical theater that depicts the surface and what lies beneath of the life of a modern family, the mother of which is struggling with mental illness. This family, like all families is complicated, composed of separate people who have their own dreams and demons and yet are bound by loyalty, duty, habit, and love. Much of what matters is happening somewhere beneath the surface, masked by and often at odds with, the role that has been assumed or that is expected. The music adds an element of depth that could not be accomplished through dialogue alone. This production's first number, Just Another Day, which features all the family members, introduces the dichotomy that is their life. The score, upbeat and rousing belies the lyrics, the daughter, Natalie, wondering, "if other families live the way we do. If they love each other or if they just fake it;" the son, Gabe, hoping for "just another day, for another stolen hour;" the mother, Diana, promising to "keep the plates all spinning," and the father, Dan, "grappling with that gray and rainy weather." And "living on a latte and a prayer." 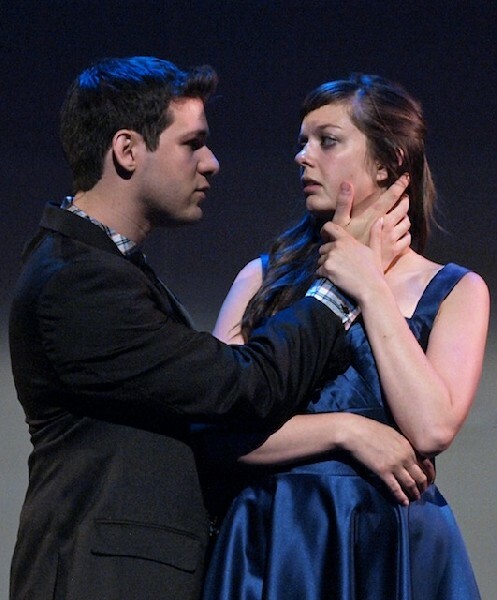 Throughout the production the separate lives and fears emerge in song, often one character's music overlapping, harmonizing, or fighting against that of another. The daughter, Natalie, experiences her own tentative first love with a classmate, Henry. Dan, the father, questions his own sanity. Their past is revealed gradually as the family watches Diana move from pharmaceuticals, to talk therapy, to electroshock therapy. There is very little dialogue; the story is told almost exclusively through song. In the first act My Psychopharmacologist and I in one of the few production numbers that features the entire ensemble is an absurd paean to the array of medications available for managing psychological illness. I Miss the Mountains is a poignant, lyrical piece about how the leveling effects of those drugs are experienced by the people who have turned to them for help. The buoyant It's Gonna Be Good performed in the first act and reprised in the second, takes the audience along for the roller coaster high of hope that precedes each attempt at a new treatment. Director/Choreographer Michael Berresse's production is intimate and familiar as well as stimulating and provocative. 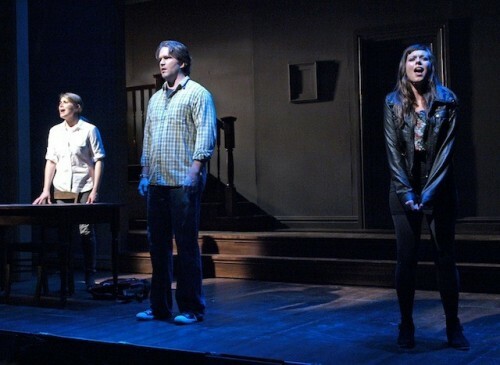 Though it deals with much that is dark, it is also filled with hope and energy as this family strives to find their own definition of normal, and finally accepts the best life offers them, something next to normal. This play, with more than two dozen musical numbers and at least as many scene changes would be a challenge for any theater, but the Weston's intimate stage called for very creative solutions. The production team rises to the occasion and, in effect, expands the theater. Scenic Designer Timothy R. Mackabee's clever, minimal, though somewhat drab, set with movable stairs and walls combined with Lighting Designer Tyler Micoleau's utilitarian multiple area lighting have made great use of the intimate space. The cast is strong, especially vocally. It was a pleasure to be able to understand the lyrics. Heidi Blickenstaff is thoroughly engrossing as Diana. Her strong, clear voice seems to carry her deep and varied emotions effortlessly. She commands the stage at key moments with an open, uninhibited physicality. While the old chestnut musicals are entertaining and their familiarity comforting, the fact is, they weren't always old chestnuts. Musicals such as Showboat, Porgy & Bess, and West Side Story broke new ground and addressed the issues of their day. It is tremendously exciting to see a musical that has grown out of our own time, our own life experiences and concerns. We recognize this family, we identify with them and with the larger world that they inhabit. Take advantage of a wonderful opportunity to see this compelling production. It will touch your heart and stimulate your mind.